Durian is expensive in Thailand but we always enjoy buying it fresh especially at peak season. 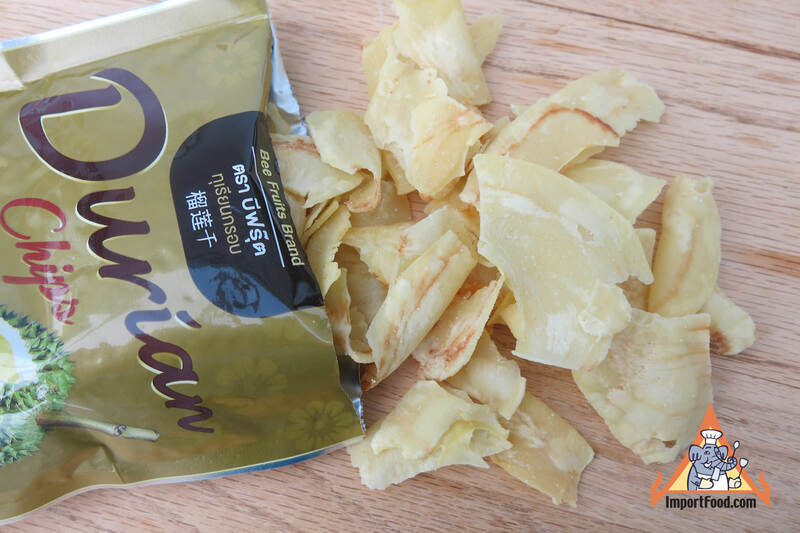 The flavor of durian is often described as rotten because this fruit has a strange unappealing odor, but frankly we just find it a rich healthy delicate fruit with lots of nutritious value. 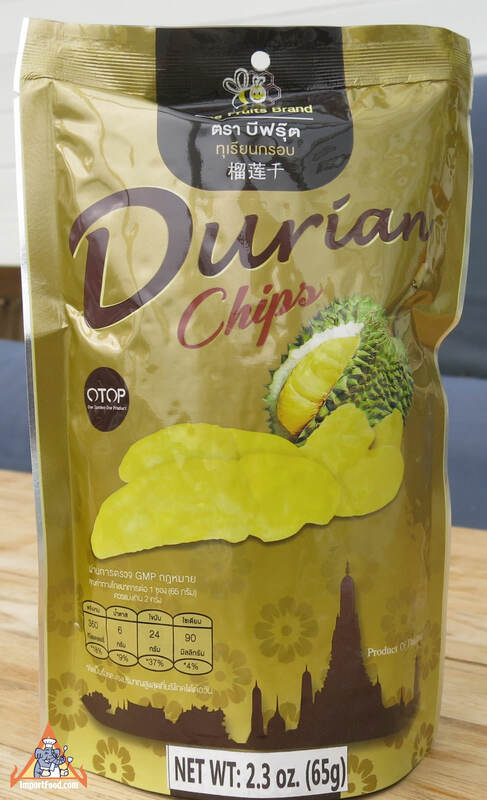 This new "durian snack" produced by Bee Fruits is a fantastic way to enjoy the flavors of durian and it's certified by Thailand's OTOP (One Tamboon One Product) small enterprise foundation awarding top honors to high quality local producers. It's all natural, prime quality durian. Each package is a modern foil pouch, with individual chips as shown. A lot of fresh durian goes into making each package, and if you like durian or ever wanted to try it for the first time, this is a great way to go. This is a generous size. Ingredients: 97.5% durian, 2.0% vegetable oil, 0.5% salt. No aritificial ingredients, no preservatives, all natural. Product of Thailand. See our video: durian in a Bangkok fresh market.